Home » All about Virgo Man » What Sign is Most Compatible with a Virgo Man? If I have to sum up the Virgo man in just a single word, it would be “practical.” He sees things as they are, with no sugar coating. He is a down-to-earth, hard-working guy who prefers to keep the inner emotion to his own. When it comes to love relationships, he has a tendency to relish the solo life for quite a long time due to his high standards in choosing the partner. So, what sign is most compatible with a Virgo man? He seems to prefer the company who is similarly reserved. In the horoscope chart, which zodiac sign is this guy’s best match? If you’re interested in the man born under Virgo sign, remember he has an immense thirst for knowledge. To attract a Virgo, use your brain. He has no time for silliness or insincerity. Let him know that you’re truly intelligent, don’t brag. This male has a simple yet specific taste in mates – he gets attracted to women who dress fashionably yet conservatively, and who know how to think and reason. Be polite, sincere and soft spoken if you want to catch his eye. Show your interest in him but do so subtly, as you may scare him away with too much attention. He’s actually a male who will love you for your mind. Keep him interested with stimulating ideas. 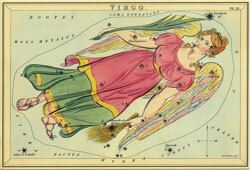 Virgo man in love is willing to give his all in a relationship, but he expects the same from his partner. Never give him any reason to mistrust you. Once he has committed to a relationship, he is forever loving, patient and supportive. Which zodiac sign will be the Best Match For Virgo Man in love relationships? 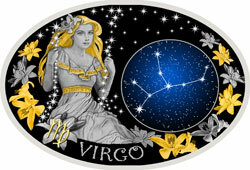 According to Virgo man love compatibility, Scorpio woman is very intelligent, and Virgo will be drawn to that trait. Both signs are practical, hard-working and courageous. This lady is extremely passionate, so she needs to be careful not to overwhelm the shy Virgo man. They are deeply private individuals who value their dignity. Thus, when these two meet, each will wonder what lies beneath the other’s mask. Once this couple gets to know each other a little, they will find it much easier to drop their guard for each other than for some other people. As the duo relaxes more and more, they’ll find that they admire quite a lot about each other. Both Virgo man and Scorpio woman, at the most basic level, are deeply loyal individuals. Neither of them is interested in idle flirtations or short lived love affairs. Yet, they do demand respect and the same amount of love they invest in another person. These two are close as hell when they connect. This is the relationship which seems unlikely to outsiders, but it somehow works well. Successful Virgo man and Scorpio woman compatibility depends upon the guy’s self-confidence because after all, his ability to stand up to his mate is what Scorpio loves most about her man. Shortly, the answer to “what sign is most compatible with a Virgo man?” is Scorpio – this Earth and Water relationship has a good chance to succeed.